Product prices and availability are accurate as of 2019-04-21 00:03:20 UTC and are subject to change. Any price and availability information displayed on http://www.amazon.com/ at the time of purchase will apply to the purchase of this product. Grow an enchanted forest inside with this exquisite paintable wallpaper. 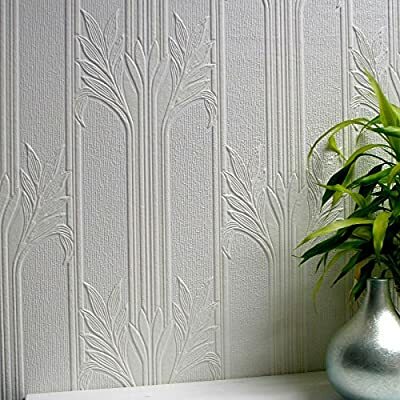 With an ornamented stripe design flourishing fresh greenery on walls, this elegant print is a luxurious decor choice. 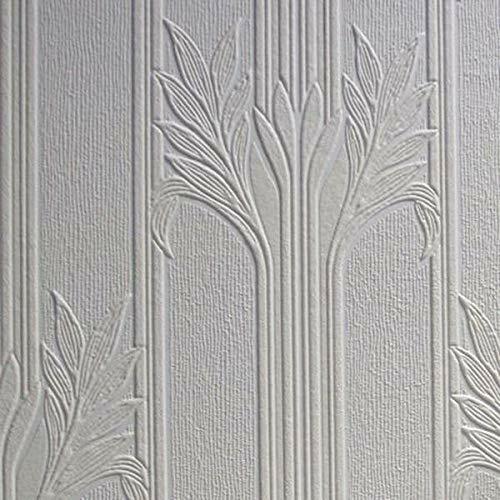 Ideal for problem walls or ceilings or to cover up minor cracks, lumps or bumps.